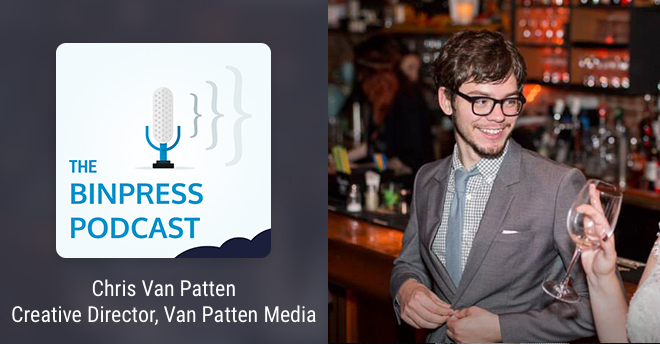 On this episode we talk with Chris Van Patten, Creative Director of Van Patten Media, a full-service web design and online identity agency based in New York City. Chris and the team have developed a stable of WordPress plugins. Their flagship commercial plugin, called BlastOff, helps users send MailChimp newsletters right within WordPress. Chris discusses why you need a virtual assistant, what he’s learned while working with clients, how he manages burnout, and much more. Alexis: So Chris, thanks for coming on the podcast. Chris: Happy to be here, thanks for having me. Alexis: Not a problem! Especially as a fellow podcaster, we’ve got to band together. Let’s start off with a show plug at the top of the show. You are a podcaster on Not A Real Job, right? Tell us a bit about it. Chris: Yeah, Not A Real Job is an interesting podcast in that we sort of have a hard time pinning down exactly what category it’s in. We started as a very straight business podcast with marketing tips and things like that, and it evolved into a comedy/advice show for people who want to turn the things that they love doing, their hobbies, into little side projects and side businesses. We talk a little bit about our experiences doing that and hopefully – maybe, if we’re lucky – help some people do it themselves. Chris: Yeah, exactly [chuckles]. It usually ends up with more conversation about alcohol and random shenanigans than anything else, but we try. Alexis: As a listener, I can vouch for the show, so give it a listen. Make sure you subscribe on iTunes, leave a review for them and us as well – because we could always use more reviews. Chris: Yeah, all podcasters want is more reviews all the time [chuckles]. Alexis: Yup. Let’s see – tell us a little bit about your background. Chris: Sure. I guess in relation to this interview, I’m primarily a website designer/developer type, but I wasn’t always that. I’m self-taught, so I started playing with the web and web development stuff when I was a kid, so probably around 10 or 11, but for most of my high school and my college career, I actually focused on Theater. I love set design and lighting and costumes and all that, it’s very creatively fulfilling, but to do it professionally in Broadway or in regional theater requires a lot more school than I wanted to put in. Undergrad was great, but I didn’t want to shell out the money for a grad degree in the Arts that may or may not have actually gotten me anywhere, so I figured I cut my losses and shift into doing web development full time. That was around 2012 that I started that process and it’s 2015 now so I’ve been going three years doing this full-time. So far, I’m still paying my bills [chuckling]. Alexis: Was that transition/decision pretty immediate in terms of “Okay, I think I’m just going to make a run at this web design thing” or was it a more “Oh, I guess I’m making a run at this web design thing”? Chris: I think that’s really what it was. I had paid clients while I was in high school, but it was always something I did in the weekends and even through college. A theater degree or certainly the type of degree that I got was basically a conservatory degree plus a liberal arts education. It was sort of the demand of a conservatory education plus all the liberal arts classes, so it was a pretty heavy workload. I really wasn’t able to do full-time work; I was only taking on one or two projects at a time throughout college. But I realized by the end of it, I was like, “Oh I’ve been doing this consistently and I’ve been making money consistently. Maybe now that I have a little more free time –.” Especially in my last year, I finished the requirements of my program a little early and I ended up a lot of free time. I was like, “Well, why don’t I use this time to work with clients?” And then by the time my senior year ended, I was really working full-time and that’s when I was like, “Well I guess I could probably do this after college too.” And I did. Alexis: Now a lot of folks seem to have trouble – myself included – when they’re first starting out setting their rates in this kind of thing and negotiating, if at all. How did you navigate those waters and what have you settled on in terms of a formula that seems to work for you? Chris: Full disclosure right now – it’s something that I think I’m still working on, and I think it’s something that every developer, if you’re setting your own rates, it’s something that you’re going to continuously work on. For me, a big part of that has been honesty with myself about the way I like to work. I don’t like time tracking; I’ve tried to do it before and I hate it. I had a brief time where I had an internship and a corporate job and I had to keep track of my hours, and it was just the worst thing ever – the worst two months of my life. I hate time tracking. For me, really as long as I’ve done this, I’ve known that hourly billing isn’t really what I want to do. I have an hourly rate, but it’s really only to be used as the basis for our project estimate. That’s mainly the way I work. I’ll look at a project and say, “I think this will take me ten hours.” Ten times x – that’s what I’m going to charge you. If it takes longer, I’ll eat the cost. If it takes less than that, sorry, that’s what I’m going to charge you. As to what the x is – the rate – it’s varied over the years. That really has depended on a lot of different factors. While I was in college, I had student loans and different things like that that let me basically charge a lower rate because I wasn’t worried about having that money to pay rent and things like that. Once I got out of college and started paying my own rent and paying back all of those student loans, then of course I quickly increased that hourly base rate. It’s been three years that I’ve been doing this now basically full-time and I just raised my rates two months ago in January. It’s still a process that I’m continuing to tweak and continuing to figure out how much I want to charge. Then of course in the flip side of that, is if I’m saying I’m going to charge you for ten hours of work, getting better at figuring out exactly how many hours I need to be charging. Because I’m not tracking my own time, I can’t, at the end of a project, say, “This is how long I spent and I’m going to charge you for it.” I have to be good about understanding how a project is going to work upfront – what are the moving parts, what can I outsource to other developers, and sort of having a good send of the scope of a project before I send an estimate. Alexis: You somehow used your ESP to predict my next question about scope [chuckles]. With that answer, how about when it comes to haggling or bargaining? Are you usually pretty firm when it comes to all projects or do you work some room into your budget for –? This might be revealing too many trade secrets for potential customers. Chris: No, I don’t mind. To be completely honest, it sort of depends how badly I need the project. I think a lot of freelance developers or people running their own agencies totally understand that. If you have nothing in the pipeline and a project comes in, you have to charge them a little bit less. That can come back to bite you because if you charge 50% less because you have no projects in your timeline and then two weeks later somebody comes and has a big budget and is willing to pay, that can screw you over. I guess overall I’m trying to be better about not haggling and not budging on my rates and just trusting that more work will come. That’s been a little bit tricky because it can be very frightening to look and say, “In the next three weeks, I’m going to finish all these projects and I’ve got nothing in the pipeline.” You can sort of freak out a little bit and then go crazy trying to scrounge up work at any price. Something that I’ve been working on over the past years just to trust that there will be work at a rate that I can live on and try not to compromise in that sense. Alexis: So how do you manage the process of continually finding new clients? As a freelancer, you’re always working on a project, but then you always have to work on getting those future projects, which can be a lot to juggle. Chris: Yeah, it’s challenging. Truthfully, I don’t do any marketing. There’s a brief time when I did some content marketing on by business’s blog, and that was fine, but it never really got me any leads. Really what I focus on now is referral marketing, and that’s really how I always gotten work. It’s really always been through referrals and things like that; that’s really where I’m focusing now. Really taking the time to reach out to clients after a project and say, “If you like the work that we did, I’d love it if you could tell three people about us. That would be great.” So that’s been a huge thing. Also, just having a presence on Twitter. I’ve been on Twitter since 2006 or so and I would say probably half of my clients have either been people that I’ve gotten to know on Twitter or have been referrals from people that I know on Twitter. Really having that big Twitter presence has been huge. I mean, really, there are some clients that I still work with who – I saw a tweet that they said, “Hey, I’m looking for someone to do WordPress work,” somebody that I didn’t even know, but you see that tweet and it’s very easy to reply to that. I’ve gotten pretty lucky in that. Our portfolio is very strong and I can give good references, and that’s been a really good way to go. Alexis: And I think it’s important to clarify here that it’s not only about finding mentions of people who need help with WordPress, but in my experience too, it’s just been following cool people, building those relationships and then at one point or another they’ll say something, whether it’s programming-related or WordPress-related or web design or something. Then that’s when you chime in. That’s not how I work. It’s really people in my network saying, “This person who I know is looking for x. You should reply to them.” Something like that. I’m not sitting in Twitter search, waiting for clients to come, or potential clients to show up. It’s really targeted, reaching out to people. Chris: The number one thing for me for filtering is price. If I can tell early on that a client is going to be a little bit difficult, or if I’m just busy and somebody reaches out to me and really wants to work with me, I’ll quote them much higher than I normally might. If they want to pay that, that’s great. I can make it work, whether that means hiring extra help or whatever the case is. Alexis: I’ll deal with you for X amount. If only I could do that with family. Chris: In terms of getting to know a client and understanding in advance what kind of demeanor they have, what kind of working relationship they might have, that’s been a little bit tricky for me and it’s something that I’m still working on, developing a really solid process to get to know a client early on. Part of that trick is balancing – obviously you want to be on the phone with them. That’s a really great way to understand a client. You want to do a little bit of emailing back and forth. But it’s a balance between doing too much of that early discovery and just kind of wasting time. You don’t want to spend too long in that process, but you need to spend enough time to get a sense of a person, and I don’t know exactly what that balance is yet, but it’s something that I’m working on through having a targeted survey process when a client comes. We have very specific questions, getting a half hour on the phone, emailing a little bit back and forth – they’re all good techniques. It’s just a question of what works best and it can be different for every client. You can get a client on the phone who sounds great, and then you realize that they’re throwing “Please advise” into every email and they’re just making you want to scream your head off. So yeah, it can be different for every client, but like I said, it’s really something that I’m still working on. I’ve had clients who are terrible. I’ve had clients who are great. I’ve had clients who are terrible but pay well. I’ve had clients who are great but don’t pay. It sort of depends on the situation; it depends on the amount of work that you need at an even time, how much you’re willing to put up with and that kind of thing. Alexis: It seems that you’ve used your theater background to get your foot in the door with some clients. Is that an accurate assessment? Chris: Sort of, yes. I would say that I have had a number of clients in the theater, although I’ve backed away from that a little bit recently. I think it was less me speaking their language, although that certainly helps, but just the fact that I knew people. A number of my theater clients are either people who I have some personal connection to via friends – basically, it comes back to referrals again. Within my circle of theater friends, I am the web guy, so if they hear about projects, they tend to come my way. Lately I don’t take on that type of project as often, but it’s nice to know that that network is always there. Alexis: Are you lucky enough to have the design chops as well as the coding chops as well, that you can manage both ends, or do you work with a team of freelancers? Chris: I would say that the design stuff is really my strength. Really up until recently I didn’t consider myself a developer, and I still don’t really like to use the word because there are people I know who are real developers who have complex understandings of systems and algorithms and different things like that. I’m still learning a lot of that stuff; it’s still new to me. Really only in the past six months have I felt competent taking on bigger projects that involve more complex development stuff. Obviously, I have this background in theater design, which is not a direct analog for web design, but a lot of the same things apply, right? When you’re a theater designer, you have to learn to work with directors. You have to be able to talk in design lingo about colors and textures and patterns and things like that. That all carries over in clients. Really the most valuable thing is just being able to communicate with clients. I think you can be an amazing designer or an amazing developer, but if you can’t communicate about what you’re doing, it’s useless. Alexis: Alright, let’s see. You mentioned dipping your toes into programming, and I think that goes into the WordPress plugin territory? Alexis: So tell us how that got started. Chris: Which plugin are you talking about [chuckles]? Alexis: Whichever you’d like to start with [chuckles], either chronologically or –. Chris: Sure. Well we have lots of WordPress plugins that we’ve released. I’ve been working with WordPress almost as long as I’ve been doing web development. I’ve been using WordPress since version 1-point-something. I think WordPress is almost 11 years old now, so I’ve probably using it for eight or nine of those. Something that I love about WordPress is not only is it a piece of open source software – of course everyone knows that – but it’s also a piece of software that is very adamant and very open and it pushes its open source agenda. Part of that is due to the license that it uses; part of that is due to just the type of people who work on it, but it’s open source and it’s proud to be open source. Throughout the years, as I’ve developed different things – some for clients, some not –one thing that we try to do is release as much of our own code as open source as well. We have I think probably around ten different plugins that we have up on GitHub that are all open source. A smaller portion of those are also on the WordPress plugin repository. The ones that we do tend to release on the plugin repository are the ones that are more for general purpose use; the ones on GitHub are more oriented for developers or things that I’ve used on a lot of projects that I think other developers might benefit from. There is a tendency in the WordPress community that people will install a WordPress site, they’ll download a theme and they’ll download ten different plugins or whatever. We like to build everything ourselves, and so naturally as a result of that, we’ve got a lot of code that we’ve developed, and this is our way of sharing the work that we’ve done. I don’t know if anyone uses any of it, but it’s nice to be able to share and put it out there. Alexis: Right. So how did BlastOff come about? Is that the only plugin you’re charging for or are there others that you’re going after that kind of model with? Chris: BlastOff is the main thing right now, or the main commercial plugin. BlastOff was actually me scratching my own itch. For my personal website and Van Patten Media as well, we have MailChimp lists. I’m a huge fan of MailChimp and I’ve had these lists that were growing and never really did anything with them. Last year when I was ramping up my own content marketing efforts, I decided maybe I should start sending emails too. Now I really like plain text emails. I don’t really like the fancy marketing emails that have lots of graphics and they take a long time to load on your phone and they’re not responsive or whatever. I just like plain text, and I want it to look like text. I want it to look like an email that I just typed up in Gmail myself. Unfortunately, MailChimp doesn’t really offer a way to create those without going into code and manually coding that yourself to look like text, which is fine for me except that for Van Patten Media, we have a content writer on staff who could probably figure it out, but to be honest, it would just be easier to eliminate the coding and just make it very easy. What I did was I created this plugin that uses WordPress and leverages WordPress’s really amazing content editor to make it easy to draft up that email and instantly send it with MailChimp as soon as you press publish. It’s really just writing a blog post except that it goes out to your email list. Really the bulk of the code for it, at least for the first pass, was done within a couple of hours one morning at a coffee shop, so it sort of came together really quickly. Now after that, once I realized, “Hey, other people might want this,” I ended up rebuilding it and then hiring a friend of mine to help come on and add new functionality and add new features and that kind of thing. That’s how that came into being. Alexis: How did you figure out pricing for this thing? Chris: Well, I haven’t [chuckling]. To be perfectly honest, the pricing is probably going to change. The number that’s on the site now is just an arbitrary number. I knew early on that I didn’t want to charge other WordPress plugins. Most WordPress plugins, you buy for $200 or whatever and you have access for a year, or whatever it is, and you can get support and upgrades. I wanted to charge more like a SaaS product, which really isn’t done in the WordPress ecosystem for plugins. In fact, I couldn’t find any other examples of plugins that charge on a monthly basis. That was the main innovation there was charging on a monthly basis. The reason for that is that our long-term goals are to do more than just give you access to that plugin. There’s a feature where you can actually connect directly with a professional email copywriter and get them to review and look over your emails. That doesn’t exist now, but I wanted to set up the pricing in a way that it wouldn’t be a surprise later on if we change it and we’re all of a sudden charging monthly. I want to set that tone from the get go. Alexis: Have you done any marketing for BlastOff? Chris: Very little, and there are a lot of reasons for that, mainly because I’m a terrible marketer. With the development business, it’s all word-of-mouth and so far BlastOff has been pretty much in the same boat – mostly word-of-mouth. Chris: Originally, when I first started working with people, I was really just filling in things that I didn’t know how to do myself. Whether that was server administration, or in the beginning, sort of that complex development stuff – writing up algorithms to crunch numbers and things like that – the first hires that I did were hiring people who were smarter than I was in specific areas. That was the first reason to hire, I guess. But over time, it’s actually changed because in terms of the projects that we take on, I feel pretty confident in most areas. So really now when I hire, it’s because either I’m too burnt out to do something or I’ve got ten other things going on and it’s something that I know I can outsource very easily. That’s usually the case. Now it’s more of a scheduling thing and just being able to do more work at any given time. Originally, it was because of me trying to fill in gaps in my own knowledge. Alexis: So these people that you hire, are they coming from recommendations or do you just put something up on oDesk? How do you find these folks and what qualities do you look for in them? Chris: It’s a combination of things. I have somebody now who’s sort of our server manager/server administrator, and he’s somebody that I got to know – gosh, I must have been 12 or 13, on an online forum for teen web developers that no longer exists. I say I was 12 because I remember lying about my age so I could register –. Chris: Yeah, via the COPPA law. He’s somebody I’ve worked with for 12 years or so. That was an arrangement where we had just known each other for a long time through this forum and we had worked together, we had maintained a blog network and other things, and I’d been fortunate to continue working with him. I’ve hired people who I’ve gotten to know from Twitter. My good friend, Lucas Cherkewski, who is very young and brilliant – smarter than I’ll ever be – he’s somebody who came up to me after a talk at a conference and then we followed each other on Twitter. Eventually, seeing him tweet – it all comes back to Twitter for me – I got to see the types of things he was working on and the types of things he was interested in working on. We got to know each other over on Twitter. When it came time to get somebody to help on a project, and I believe it was BlastOff actually that I first hired him for. It was an obvious fit to bring him on, because I knew him well. I have also used Elance. I mainly use Elance for – Elance-oDesk, because they’re the same thing now – support staff, so writers, virtual assistants, occasionally some social media marketing type people. But I have hired developers there, and to mixed results. By that I mean I’ve hired two developers and one was incredible and the other was terrible. The main thing that I look for is just good communication. That doesn’t mean that they have to be a native English speaker even or anything like that; it just means that they have to be good at explaining their work, explaining why they make the decisions that they do and friendly, above all. Really, that one developer that turned out badly, he was a competent developer, but he was very brusque, or very difficult to talk to. He didn’t seem like a nice person. A very talented developer, but it didn’t matter. So really, the main thing that I look for is just somebody that I know that I can have a good rapport with, somebody who can explain something without judging you for not understanding it – and that’s not just for me, but also for the clients. If they ever have to interact with the client, I want to hire somebody who I feel confident setting them loose on a client and knowing that it’s going to go well. That’s what it comes down to, is their bedside manner. Alexis: Okay. Throughout the call, we’ve had about two Skype issues, but we contribute that to because you’re currently working from Barcelona, right? Alexis: Is this remote working thing a big habit? Chris: Yeah, in a way. With very limited exceptions, almost all of the clients that I have ever had were people that were not in the same city as me. There are a couple of exceptions to that – I have one or two clients back home in New York who are also New Yorkers; when I was at school in Buffalo, I had a couple of clients located in Buffalo. But even in those cases, generally my favorite way to communicate is via email. Even when I was on the same city as the client, we weren’t really meeting up too often. I sort of always worked remotely in that sense and that I’ve always worked from home or worked from coffee shops. Coming to Barcelona is a bit of a new thing and actually moving for a couple of months to work overseas – that’s kind of new, but I’ve sort of always worked with my clients online. Really, the only change working from here is the time zone difference. How do you manage burnout? You mentioned burnout earlier as a “I can’t really handle this project right now so maybe I’ll hire a freelancer to do this for me.” What are some of the tactics you employ to make sure that you don’t overwork yourself and you don’t burn yourself out? Chris: Man, I wish I knew [chuckling]. My last burnout was January. I actually got really, really sick in January to the point where I couldn’t digest food. That lasted for about three or four weeks, and that was almost definitely a direct result of burnout from two or three big projects that I finished in November and December. And that’s not the first time that I’ve been burnt out, although that’s definitely the worst it’s ever been. In terms of things that I try to do to manage burn out, ultimately it comes down to knowing your limits and being better about managing the number of projects you take on at one time. As I was sitting in bed for the better part of January, I sort of resolved going forward to never take on more than two projects at a time – that includes my personal projects. Rather, I don’t allow myself to work on more than two projects in any given week. I can have multiple projects in development, but in a week, I can only pick two to work on and I just have to focus on those two. Because as soon as I try to juggle any more than that, that’s when I get overwhelmed and I have a hard time processing all the different things that go on. A big part of it is just understanding your own limits and knowing I can do this much at a given time and not going over that. And then for the times where you have to go over that like I did last October, November and into December, you just have to be confident enough knowing that taking the time to outsource something is going to be worth it. I think it can be very easy to be in the middle of ten projects and say, “I don’t have the time to hire somebody, teach them how to do this and get it done the right way,” which is stupid because of course you have the time. Doing that is going to take less time than doing it yourself – every time. Now the challenge is, if you can, hire somebody who you’ve worked with before and who you trust and who you know. If you’re hiring somebody from scratch while you’re dealing with ten different projects, that’s not always the best way to go about it. But if you have a good network of people who you work with and you can take advantage of those people – not take advantage in a bad way, but know that they’re available. Chris: Yeah, exactly. Even if it’s outsourcing something that only would have taken you three or four hours, that can be huge, especially because I know myself and I know that on any given day, if I get four hours of productive coding, that’s amazing. I can’t really do much more than that. I have to be careful about the types of things I take on, knowing those limits. Anything beyond that, I try to hire out as much as I can. Alexis: So it sounds like you’ve got a lot on your plate, even though you’ve pared back to two projects , whether one of those projects is yours or otherwise. How do you keep yourself organized, in your own projects or projects you’re working on for other folks? Chris: I make a lot of lists. Alexis: It sounds like you and I have a lot in common [chuckling]. Chris: I don’t really have a good organization strategy, and really, it’s only as of the past year or so that I’ve finally committed to a task management tool. For me, I try to set that bar as low as I can so I’m not trying to do 15 things in a day. I have very specific tasks that I want to do, and even if you can’t get those done, you can’t beat yourself up about it. I’m a very disorganized person, but fortunately, I’m good at making lists, which I guess counters that pretty well. Alexis: Let’s see – sorry, working through my list here. When it comes to timing, how do you manage client expectations in terms of milestones and this will be done by this day or it might take a little bit longer? Chris: This is something that – I’m terrible at setting deadlines and saying something is going to be done by x date. It’s awful; it’s really bad. I’m even dealing with this situation right now where it’s something that was promised for Monday and it’s Thursday right now. Even today I’m terrible at that, but something that I’m working on continuously is not setting deadlines. Certainly in the past couple of months, it’s actually very rare for me to say to a client that something is going to be done by a specific day, and I make that very clear upfront to new clients, that I’m not going to set a timeline for the project. It’s going to take what it’s going to take, and if you’re not okay with that – that’s fine. But we’re not the development team for you. In general, that’s been received pretty well. Certainly there are cases where something comes up and there’s an emergency. In particular, for our ecommerce clients, if something breaks on their site, they want to know that it’s going to be fixed by tomorrow. In those cases, you have to make it work. But in terms of the longer term development or basically anytime where we’re creating new code, I try really hard to manage the expectation by not having the expectation. One of my high school teachers famously – amongst my friends, anyway – once said, “Aim low, avoid disappointment.” While I generally try not to do that in my life, I think this is a case where the best way to manage an expectation is to not have an expectation, or to make the expectation so low. I think there are a lot of people who will set an aggressive deadline because they want to impress a client. I’m fortunate enough and I’m in a position where I don’t have to do that because I have so much work coming my way that I can afford to turn down the clients who are looking for aggressive deadlines. Not everyone’s in that position, but I’m very lucky to be there and I’m trying to take advantage of it as much as I can. Alexis: So it seems like you’ve one quite a lot of speaking at WordCamps. Do you have any tips for doing presentations for these kinds of speaking events? Chris: I think the best thing, especially for developers – I’m fortunate that I come from a theater background and I took acting classes in college, so I’m used to being in front of people; I’m used to being on the stage. The one thing, as a developer, that you can do is really practice your public speaking. That can mean going and doing improve with a local improve group, or it can mean joining your local Toastmasters or something along those lines. If there’s a meetup for your specific area of development, whether that’s PHP or Ruby or Python or whatever it is, go to that meetup and commit to talk regularly. Every three meetups or whatever it is – commit to creating a new talk and getting in front of people. Because even if you are talking about the most interesting thing in the world, if you’re a bad speaker, it doesn’t matter. It’s not going to land with your audience. My number one tip is get good in front of audiences; eliminate your fears about speaking in front of people. The material for the talk – that’s usually pretty easy to figure out. But in terms of stage presence, I think that’s really where most people need to focus on when it comes to conference presentations. We’re developers – the topics are dry; they’re technical – so it’s sort of up to you to make those topics exciting. Alexis: Alright. You mentioned briefly, one of the benefits of speaking at some of these events was you met somebody there, you followed each other on Twitter and now you’re working with him. What are some of the other benefits or cases where that’s happened? Chris: I’ve gotten work from events. Like you said, I’ve gotten to know developers through events who I’ve hired. I’ve gotten people to know people from these meetups who have referred me to other clients or other developers. I think having a strong network in your field is super important. I don’t think of – I go to a WordPress meetup and if there are five other developers there, they’re not competition. They’re potential resources. They’re potentially people that I can go to if I need to find work; they’re people that I can go to if I need to find contractors. I think the biggest advantage is just getting to know people. You may make a friend who you’ll never actually use in any business sense – you don’t ever hire them, they don’t ever hire you or they don’t ever refer you. I think it’s just as valuable because that’s somebody who you can go to if things go wrong, and hopefully things don’t go wrong, but it’s somebody that understands the types of things that you’re doing. If nothing else, there’s somebody to talk to. Alexis: Somebody to commiserate with. But at the same time, I’m also very conscious that a project that requires Laravel might not necessarily be the kind of project that I want to take on. Something that I love about WordPress is that one, you get to work with just a wide range of clients. You get to work with somebody who’s publishing a magazine, or somebody who’s maintaining a personal website as a performer. It’s a piece of software that can go a thousand different ways and be a thousand different things to a thousand different people. I think the thing that keeps me coming back most of all is just that the ecosystem and the community are incredible. Going to all these WordCamps, I think I probably went to six last year, probably three or four the year before. I’ve gotten to know people; I’ve gotten to make some friends, and I’ve gotten to know a couple of the core developers of WordPress. Having that community is the main thing that – I look at another system like Laravel or whatever it is and it would take a long time to get to the point I’m at now in WordPress with that other system. As attractive as they are, I keep coming back because I have the connections, I have the knowledge, I have the friends and that sort of keeps me where I am. Alexis: Okay. Getting to the wrap up questions here. In your web development journey so far, what’s one mistake you’d rather not repeat? Chris: I would say, overall, I’m pretty happy with the state of things. I’m trying to think, have there been any clients that I regret? In general, no. I’m pretty happy with the clients I’ve had. I’m very happy with the clients that I have; I’m very fortunate. I think maybe the one thing that I might do differently is raise my rates earlier than I did, or get them to the point where they are now sooner. For a long time, I undervalued my work and I think that’s kind of a common thing to do – undervaluing the work that you’re doing. If there’s anything, it would be that – to raise my rates sooner, and really, even less than just raising the rates. It’s really just appreciating that the types of things that you’re doing, that I’m doing, are actually worth something. Alexis: Right. On the flip side, what’s one decision that you’re particularly proud of? Chris: I guess from a development perspective, I’m really happy that I got on – this is super specific, but we developed a platform for doing WordPress in multiple stages, so at local development stage, staging stage and then a production stage. That’s something that we’ve been doing ourselves for years now, and that’s something that a lot of developers really struggle with. It took us a long time to put that system together; it’s probably, even to this day, some of the most complicated stuff that we’ve done just in terms of developing our server architecture and developing the platform that works with that. It completely changed the way that we worked and it really leveled us up professionally because we were able to take on really big projects because we have this organized system in place and we didn’t have to worry about things breaking and all that. That’s the one technical thing that we did that really just blew everything out of the water in the best possible way. The non-technical side, hiring a virtual assistant was easily the best thing that I’ve ever done for the business. It let me focus more on growing the business rather than dealing with day-to-day stuff. Now I’ve got my assistant – he’s actually my third assistant – and he’s going in every week. He’s running payroll, he goes even to updating WordPress sites. Some of our older clients who aren’t using this more complicated system, he goes in, he updates their sites, he runs through and compiles research. He helps us do data entry on new projects where we have clients send over a bunch of content that we need to put into WordPress – he’s great at helping with that, and all kinds of things. Any of those little tasks that I don’t really have time to do but need to get done, having somebody on the team who’s dedicated to doing all of those things, it changed things forever. I hired my first assistant in June of 2013 and since then the business has grown probably 200%. Chris: And I would say, it’s almost directly due to that. I remember having the conversation with my dad, “Oh by the way, I’m going to hire somebody.” He’s like, “Are you crazy? You don’t have the money to do that. That’s just a terrible idea.” But man, I’m so glad that I did it because the money came, because having that extra time meant that I could talk to new clients and I could go out and go to all these conferences and speak at all these conferences. So absolutely, that’s the number one thing, and I think everyone should do that. Whether you’re a developer contractor who works within companies, whether you’re running your own agency – I don’t care. There’s always something that they can do to help you and it’ll change your life. Chris: I started with Fancy Hands, which is a service out there that you pay them x dollars a month and they give you x tasks/month. That’s something just as kind of a base way – that’s a really great way to get started. And then sort of based on that, I was “This is going so great; I need to hire somebody.” In terms of the price there, I talked around with other people who had virtual assistants. I read some books on the subject and I read a lot of blog posts and did a lot of research. From that, you can get a sense what are the rates – what’s the going rate for virtual staff and a general virtual assistant. It wasn’t specifically calculating – here’s my hourly rate and here’s what it takes me to do this. It’s really just trying to figure out what’s the general rate and if that’s something that I can afford. Alexis: Okay. The last question and the toughest – what’s your text editor of choice? Alexis: [Chuckles] Okay, that was a much quicker answer than most people have given me. Chris: It’s so easy. I used Sublime Text for a while, I used Notepad++ before that when I used Windows, I used TextMate for a while – I’ve used a lot of different editors, but I settled onto Vim a little while ago, probably about two years now. It’s amazing; I love it. I’ll still dip into Sublime Text occasionally if I want to do something – if I want to use my mouse, basically, I’ll dip into that. But really, Vim is my daily driver and I love it and can’t imagine using anything else. Alexis: I need to go back and do an actual tally of all the interviews, but I think Vim still has the edge over Sublime Text and the few Emacs votes. Alexis: Alright. Is there anything that I didn’t ask you that I should have? Chris: Oh, gosh. I don’t think so; that was a great bunch of questions! Alexis: Thank you! So if folks would like to follow you on Twitter and find more about you online, where should they go? Chris: @ChrisVanPatten on Twitter – C-H-R-I-S-V-A-N-P-A-T-T-E-N; chrisvanpatten.com as well. The one thing I would say about my internet presence is, I’m sure there are a lot of very serious developers listening to this right now – I don’t do a lot of serious developer blogging or tweeting. Lately it’s just been every other tweet about the Unbreakable Kimmy Schmidt. If you’re expecting serious developer talk, you probably won’t find it, but I would love to connect with anyone out there, especially WordPress developers who are looking for contract work. If that’s something that you’re interested in, find me on Twitter, shoot me a message and I’ll send you my email and we can chat, because that’s something that I’m always looking for. Alexis: Alright. And for folks who would like to keep updated on the podcast and other Binpress goings-on, you can follow us @Binpress and myself, @alexissantos. Chris, we’ve made it out the other end! Thanks for coming on the show! Chris: Amazing, thank you for having me!